Saturn is one of the five planets that star watchers can see with the naked eye. In 1997 the satellite Cassini-Huygens was launched with the sole purpose of studying Saturn and its moons and rings. Cassini is still in orbit, and in 2009 it witnessed Saturn's equinox firsthand, providing an entirely new perspective of the planet. 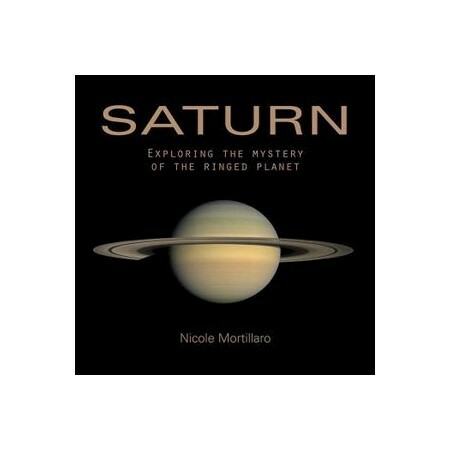 Featuring extraordinary photos selected from NASA resources on almost every page, Saturn examines the planet and its place in our universe with a special emphasis on the most recent discoveries of the Cassini probe. These are the closest and most detailed views of Saturn ever. Nicole Mortillaro is a passionate amateur astronomer and children's book editor. She lives near Toronto, Ontario.